PHOENIX, AZ — Victims from Columbine, Virginia Tech, Northern Illinois University, Tucson, Aurora, Oak Creek Sikh Temple, Alturas, Isla Vista and Newtown are challenging top media organizations across the nation to change the way they report on rampage mass killers for the sake of public safety (see attached list). 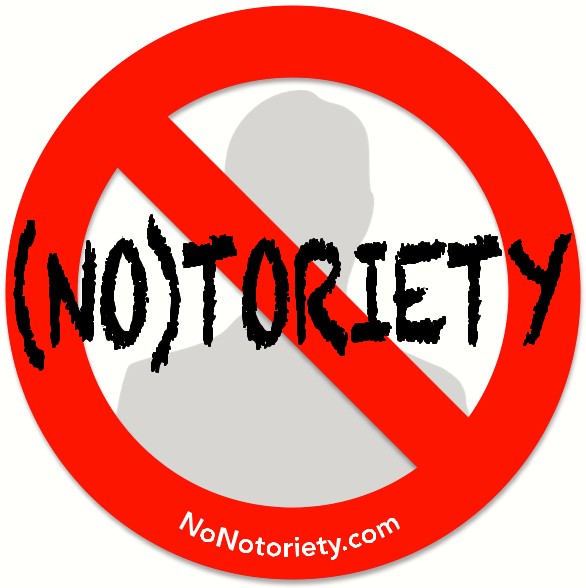 Seventy victims and survivors have joined Tom and Caren Teves in an effort called No Notoriety. Tom and Caren are the parents of Alex Teves who was murdered in the Aurora theater shooting on July 20, 2012. Prior to the start of the Aurora theater shooting trial on April 27th, letters have been mailed to 150 decision makers in media companies across the country asking them to adopt a No Notoriety editorial policy, starting immediately, so copycat killers are sent a strong message: You will not receive fame in this way anymore. The International Police Association (IPA), the largest & oldest worldwide fraternal police organization and is over 400,000 members strong, consisting of active and retired law enforcement personnel, has also endorsed the effort. The FBI and experts on mass shooters’ behavior believe the desire for notoriety and infamy is one of the key motivating factors of rampage shooters. The FBI as well as other members of law enforcement have previously asked the media not to name these shooters for public safety reasons. This is the first time victims of mass shootings have come together to directly challenge the media. Families of those killed in the Aurora theater shooting have reached out to newsrooms in the local Denver media market, and there has been a noticeable shift in coverage away from relentless and sensational media coverage of pushing forth the name and face of the killer. Families are now asking the national media to examine its own editorial policy. The following six spokespeople have agreed to be available for interviews; all others have asked for privacy, please respect their wishes. Tom and Caren Teves, parents of 24 year-old Alex Teves, who died heroically in the Aurora Theater protecting his girlfriend from harm. They are also the founders of the No Notoriety effort. Coni Sanders, daughter of Dave Sanders, the teacher and coach killed at Columbine High School along with 12 high-school aged children; 21 others were injured. Anita Busch, a well-known journalist and cousin of Aurora Theater victim Micayla Medek, one of 12 murdered, including a six year-old girl; 70 others were injured. Patricia Maisch, a survivor of the Tucson Mass shooting that killed six people, including a nine year-old girl; 13 others were injured. Eric Mace, father of Ryanne Mac, a student killed at Northern Illinois University along with four others on Feb. 14, 2008. 21 others were injured. The quest for notoriety and infamy is a well-known motivating factor in mass killings and violent copycat crimes. In an effort to reduce future tragedies, No Notoriety calls for responsible media coverage of individuals who commit or attempt acts of mass violence and challenges media outlets to stop the gratuitous use of the name and likeness of mass killers thereby depriving violent individuals the media celebrity and media spotlight they so crave. For more information, visit nonotoriety.com. Parents/family members of those murdered and injured along with those who were shot and/or narrowly escaped being shot themselves in some of the worst mass shootings in U.S. history – Columbine, Virginia Tech, NIU, Tucson, Aurora, Oak Creek Sikh Temple, Newtown, Alturas and Isla Vista – are asking media individuals and media organizations to change the way they report on rampage mass killers, starting with the upcoming Aurora theater shooting trial. The FBI and experts on mass killers’ behavior believe that one of the motivating factors of rampage mass killers is a desire for notoriety and infamy. The FBI has gone so far as asking the media not to name these shooters because of the rise of copycat killings. The oath of a journalist is to report the truth and do no harm. We are asking you, as one of the top executives inside the company who can change or influence editorial policy, to recognize your media organization’s social responsibility in the reporting for any future mass shootings and for the trial in Aurora for the greater good of this country. Public safety must come first. We don’t want others harmed in copycat killings, and we’re sure you don’t either. We are also asking for compassion as to not keep hurting/re-victimizing the victims. We ask you to adopt a new policy in reporting moving forward, one that sends a strong message to potential copy cats that they will not receive fame in this way anymore: Remove the shooter’s name from headlines. Remove or limit the name and likeness of the shooter, except for initial identification and when the alleged assailant is still at large and in doing so would aid in his capture. Refuse to run self-serving manifestos unless doing so will aid in the individual’s capture. Elevate the names and likenesses of all victims killed to send the message their lives are more important than the shooter. You have long been one of the leaders in news both in the United States and around the world. We are asking that, under your guidance, to once again lead the way in helping to get America back on the right track. Tom and Caren Teves, parents of 24 year-old Alex Teves, murdered in the Aurora theater 7/20/2012.